I had been teaching writing for about a year when I noticed something about writing for pleasure vs. writing for publication. Both intentions seemed to produce equally strong results for my writing students. In fact, when comparing writing assignments between the two classes, I often felt students in my writing for pleasure classes were producing superior results compared to my writing for publication students. There was only one problem, and it was a big one. The difficulty came when it was time to match the strong writing with markets that would pay. My writing for pleasure students were ill prepared for the kind of strategic thinking needed to treat writing like a business. They were more often prone to magical thinking, which is fun, but tends to yield scant results. The magical thinking went like this: I wrote well therefore I will get published. Unfortunately, putting wonderful words on the page won’t guarantee publication. An eloquent writer needs a whole list of professional skills to become a professional writer who can find the best publication opportunities for his or her work. Does this mean that writing for pleasure is a waste of time? Strengthen your voice: When you write for pleasure you can let your voice rip. A conversational tone will assist you not only when you are writing for enjoyment, but also when you are writing on assignment or for pay. A knack for writing in an informal tone will carry over to whatever writing you do. And when you have a deadline, leaning into your voice to get a first draft down on the page can really help you get the job done. When you can’t seem to find your voice, forgo the computer and try writing by hand. Even if that means rewriting what you’ve already drafted with a keyboard. Discover meaningful topics: What are you going to write about? When you can’t come up with fresh material, writing for pleasure can help you uncover ideas you might otherwise miss. A writer is only as prolific as her next topic. If you feel blocked, get out a piece of paper and start writing a letter to a close friend. Spill your guts. Tell your friend everything you want to say. This is a sure-fire strategy for making sure you never run out of material. Just make sure the “friend” is someone you trust, so you won’t censor. Explore structure organically: If you struggle to make smooth transitions in your writing, writing for pleasure can help you get out of your own way. When you write quickly, without the self-consciousness that can come from anticipating your editor’s red pen, you will naturally create smooth transitions. Once you get the hang of trusting yourself and just letting one paragraph dovetail into the next, your words will flow. When in doubt, set your writing aside to cool off a bit. Then tweak for strong transitions. Uncover deep thoughts and authentic beliefs: Say something fresh. Epiphanies and surprises are key to writing success. Readers really don’t want to hear the same old, same old. Say something you didn’t realize you thought. If it’s a surprise to you, chances are good that it will also be a surprise to the reader. If you focus on telling your specific truth, you’ll avoid the posturing, big words and overly formal language pitfalls that dog beginning writers. You’ve got something to say, so say it! Enjoy the process: I don’t know about you, but the pleasure of writing was a primary reason I wanted a career as a writer. Writing can be cathartic. Writing can be an escape. Writing can be an exploration. Writing can be so many things. Why limit yourself to the drudgery of only writing because you have to, when you can also write simply because you love to write? 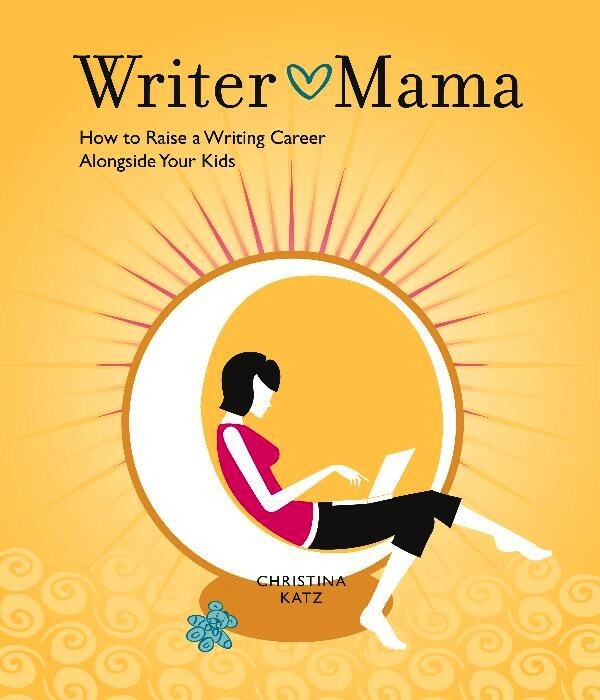 is the author of Get Known Before the Book Deal, Use Your Personal Strengths to Build an Author Platform and Writer Mama, How to Raise a Writing Career Alongside Your Kids (both for Writer’s Digest Books). A platform development coach and consultant, she teaches writing career development, hosts the Northwest Author Series, and is the publisher of several e-zines including Writers on the Rise. Christina blogs at The Writer Mama Riffs and Get Known Before the Book Deal, and speaks at MFA programs, literary events, and conferences around the country. My first love affair with National Public Radio (NPR) began when I started graduate school in my twenties.For that first year, I commuted an hour and a half through a national forest. During those drives down desolate Florida byways, it was just me, a few cows, maybe an alien or two, and the voices in the dark on my local public radio station. That’s when I heard Bailey White, a school teacher from Georgia who told stories about living with her quirky, elderly mother. I didn’t live with my mother, but I was a school teacher from the South, and I related to her commentaries. After graduate school, my husband and I moved to Colorado, where I drove white-knuckled in the snow and fell in love with the voice of Baxter Black, a self-described cowboy poet and former large animal veterinarian. Even though I had no intention of ever helping a cow deliver a calf in the middle of a blizzard, I enjoyed knowing about a world that I drove past regularly. Not all of my radio affairs happened in the car. When I left teaching to stay at home with our first daughter, I kept the radio on in the kitchen through middle-of-the-night feedings, breakfast, snack, lunch, and dinner. I listened to Marion Winik and Sandra Tsing Loh, two women who shared candidly about parenthood. I like to think that I’ve found an NPR commentator for most stages of my life. I know these writers made me feel connected during times of isolation, whether it was a lonely drive, a new home, or becoming a parent. Fortunately, these days with Internet access, I don’t have to move across the country to listen to my favorite ones. I click on NPR on my laptop almost as often as I turn the knob in my automobile. Commentaries are simply essays in script form. If you want to break into public radio, start by tuning in. Listen and learn. All of the above commentators also have books of their essays available at Amazon, so with a highlighter in hand, you can study their writing. Then one day you might find yourself driving down the road to the sound of your own voice. Hopefully, it won’t be because you are talking to yourself, but because your voice is being broadcast over the airwaves. 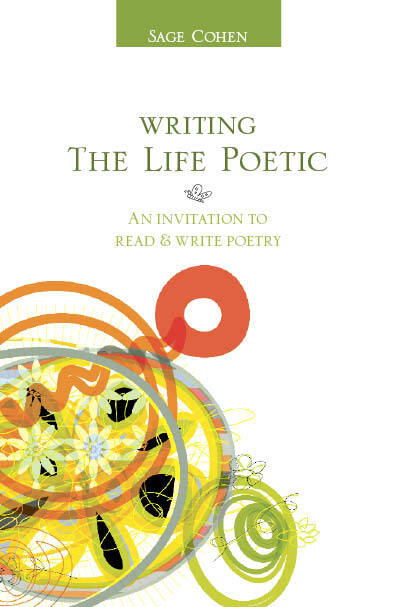 A poem’s job is to bring a story viscerally to life. In making a poetic scene or a narrative palpable for readers, descriptive images are often far more engaging than statements. This truth has been distilled to a golden rule of poetry that echoes through classrooms everywhere: Show, don’t tell. The first example explains to the reader how the speaker feels. The second example gives some specific details to bring the concept of “weak” to life. We can see where weakness lives in the speaker’s body in this moment. When you “show” with images, you offer the reader a visual, tactile, sometimes auditory reference, rather than a conceptual one. Because weakness might look and feel completely different in your body than it does in mine, images can help you more effectively articulate your own experience. They can also help move a poem from vague to specific, making it a lot more interesting. A good question to ask yourself every time you make a declarative statement in a poem is, “What would happen if I described this instead of naming it?” The best way to find out is to experiment with injecting images and see what feels right. He couldn’t wait to see her again. The preschooler wasn’t ready to leave the playground when recess was over. You always change your mind. Getting a feel for the art of the image? Good! Try using this technique next time you draft a poem. Replace three “tell” statements with “show” images. Notice how that changes the experience of the poem. Bring this exercise to every poem you write, and you will soon be writing language that leaps off the page. Welcome to The Fiction Workshop. Each month in 2009, I will offer strategies and exercises for writers working on novels and short stories. Whenever my students start a new fiction project-whether it’s a short story or a novel-they ask, “Where do I start? Where do I begin?” Usually the shiny nub of an idea has been taking shape in their heads for a while, but as the potential of the story swells before them, they get overwhelmed even before they get one word on the page. “Start in the middle of something,” I say. Inevitably they tilt their heads, narrow their eyes, and raise their eyebrows as if to say, “You’ve got to be kidding.” This is not what they expect to hear. They expect to hear, “Start at the beginning.” And many want to hear this. After all, the urge to start a story at the “true beginning” (you know, the day the main character is born even though the book is about a murder that takes place when she’s fifty and has nothing whatsoever to do with her birth) is great, but I suggest restraint. Instead, grab and hold your reader’s interest by dropping them into the middle of something. One of the best examples of this is the opening chapter of Kiran Desai’s brilliantly crafted novel The Inheritance of Loss that won the 2006 Man Booker Prize. “All day,” the first chapter begins. Those two simple words-all day-deposit us quite neatly into a specific day during which many things have obviously already been unfolding. With this unusual line of questioning and a very intriguing narrator’s voice, Foer plops us into a story we want to know more about, a story we want to keep reading. And that’s the goal, after all, to create a story readers want to keep reading. So in the next few weeks, take a look at the opening of that novel or short story you’ve been toiling over. Where does it begin? In the middle of something or way back before something interesting is actually unfolding? What happens if you change the beginning? Try it. See what happens.